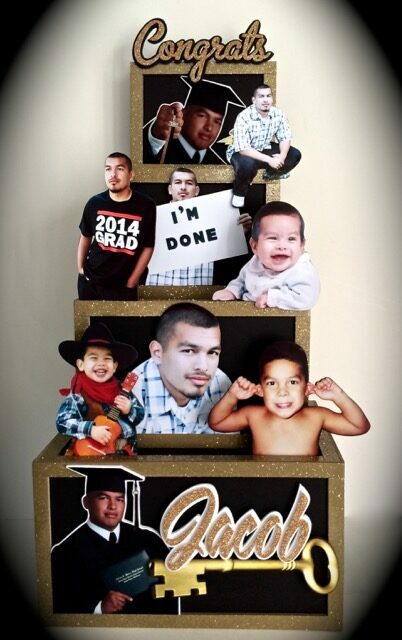 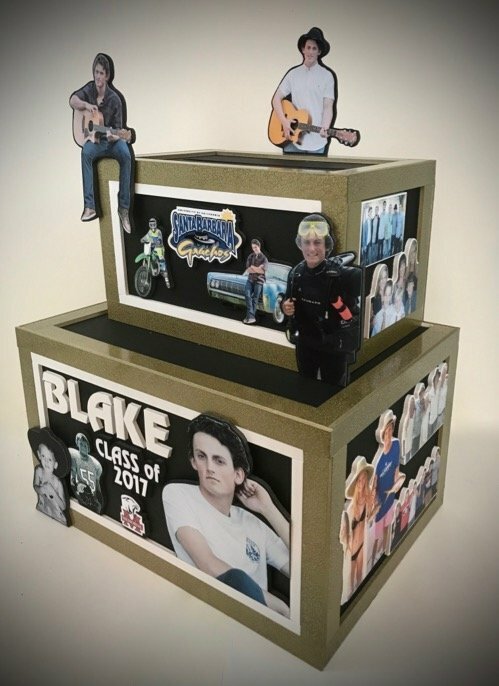 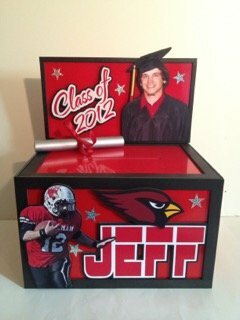 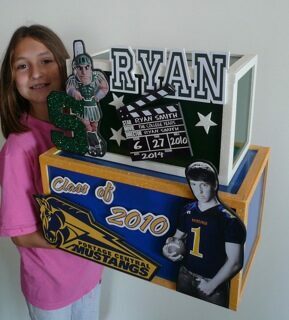 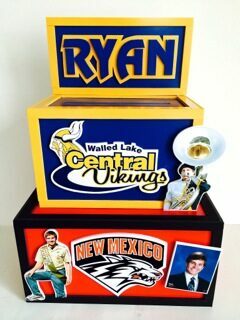 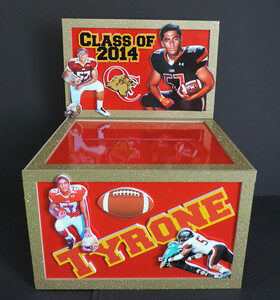 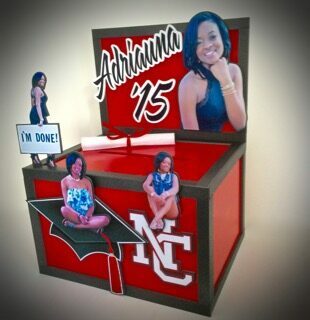 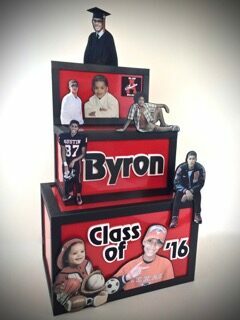 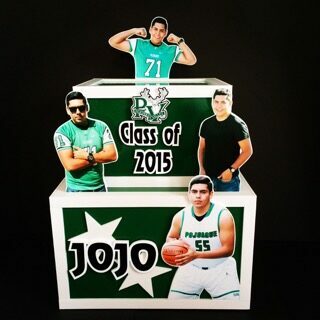 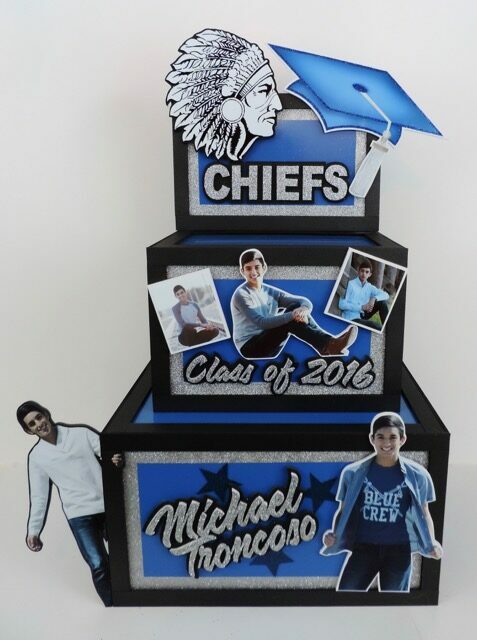 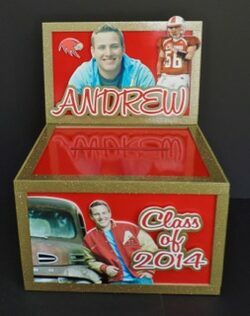 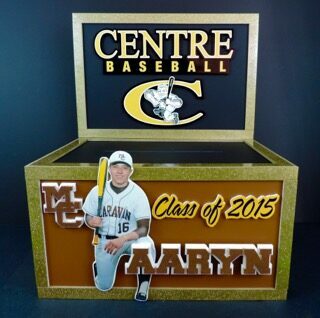 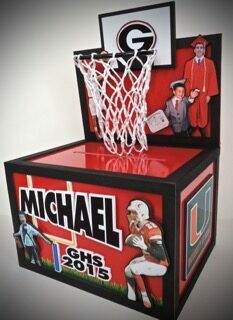 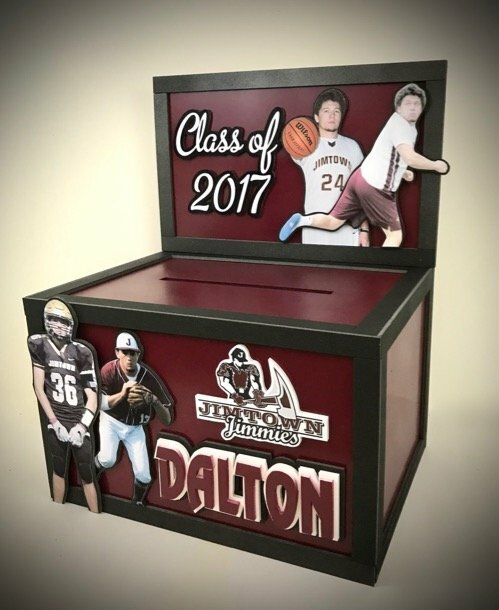 Here's a favorite gift box for the Class of 2016.
a sharp looking photo cutout from his graduation photo shoot. 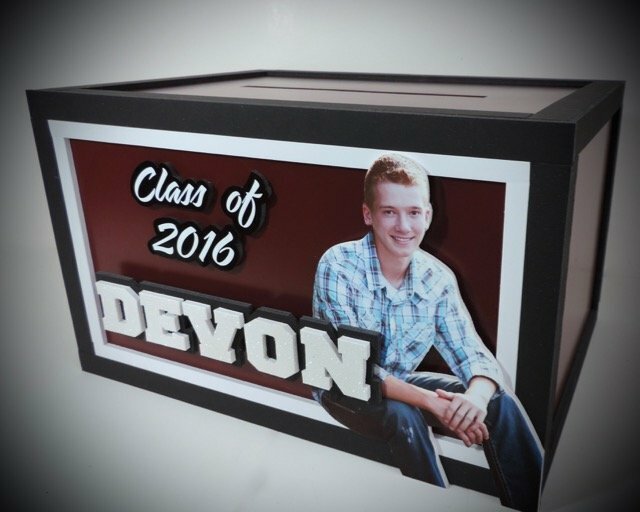 I love these deep maroon, black and white boxes but we can make them in any colors. 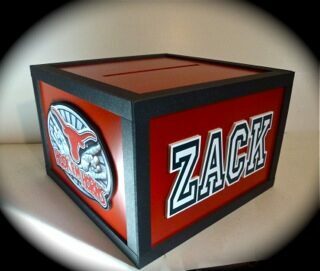 custom made just to your specifications. 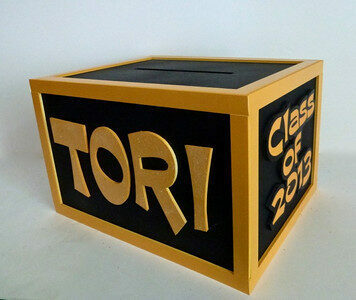 These gift card envelope boxes can be elaborate or simple and have no photos or lots! 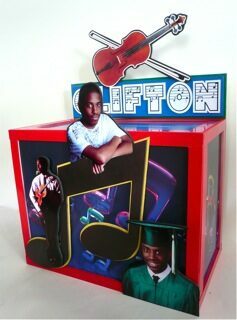 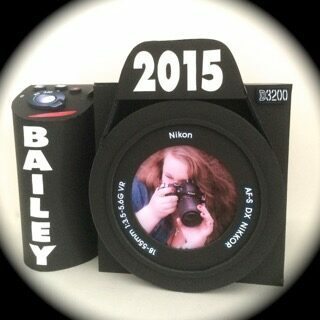 We can do just names, logos or add photo cut-outs. 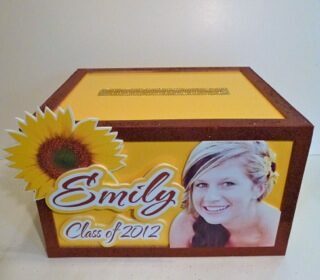 Whatever style works for you we can do. 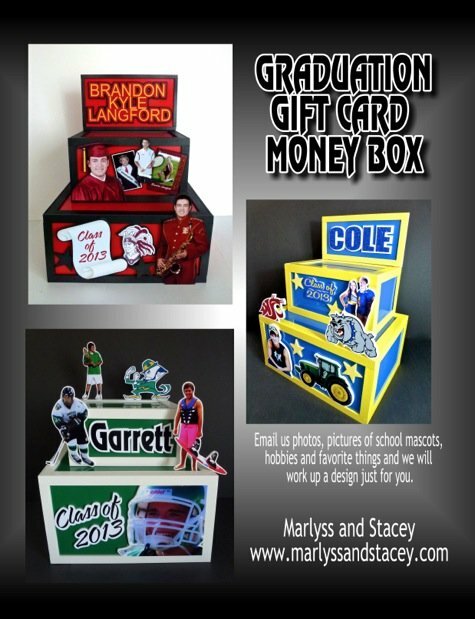 Super big gift card boxes for lots of photos or lots of different graduates. 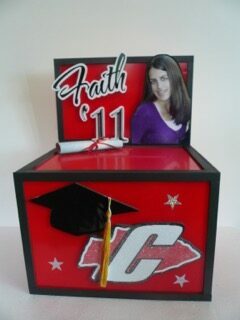 into separate compartments for each graduate. 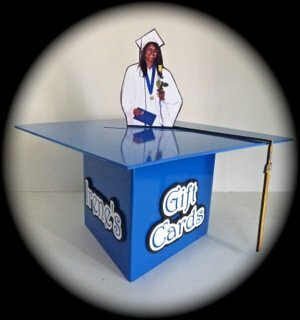 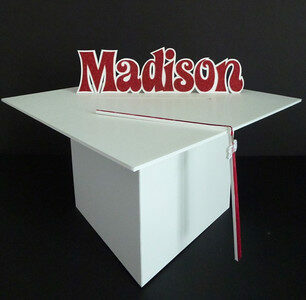 Don't forget to check our CENTERPIECE PAGE for graduation table centerpieces. 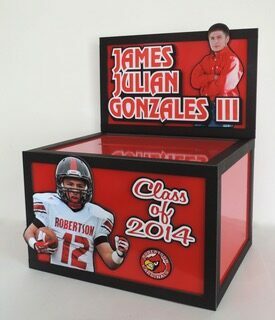 For Frequently Asked Questions & Pricing about Gift Boxes, click here.